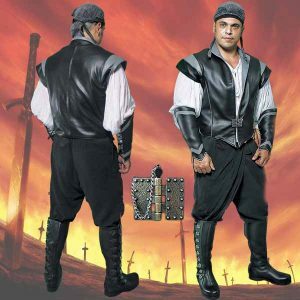 The Huntsman’s Vest is a handsomely designed waist-length piece. It fits like a suit and tapers in on the sides while accenting the shoulder. The sides are adjustable to offer a variety of fitments for different body types. 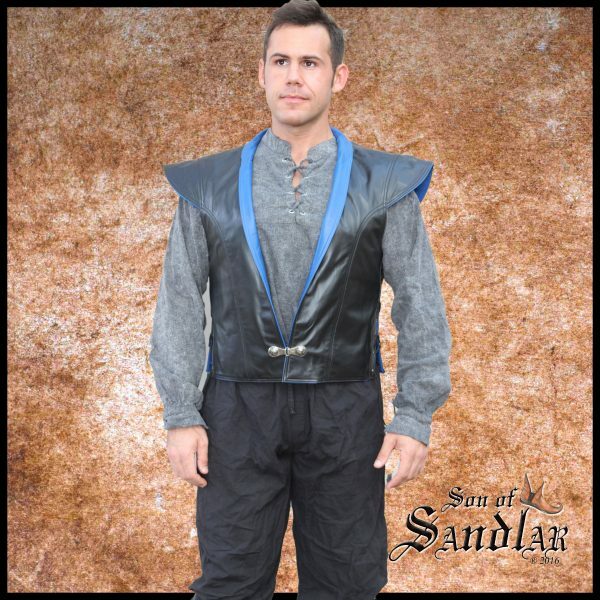 Adorning the front is a custom cast clasp, unique to Son of Sandlar. 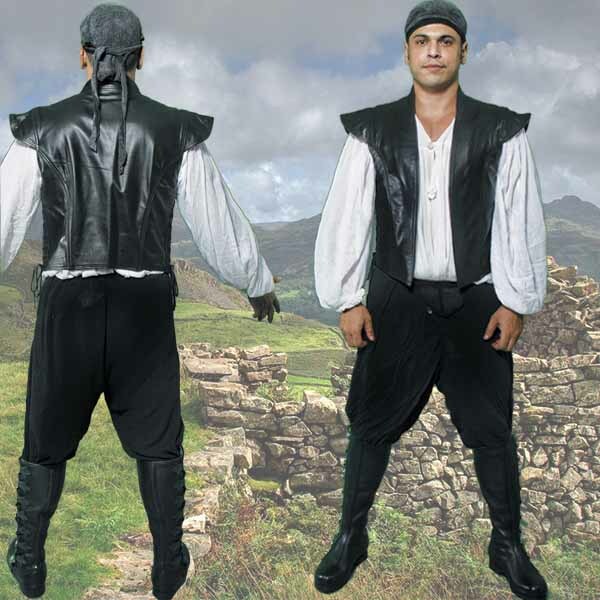 This vest is finely finished with leather piping, pockets and liners. 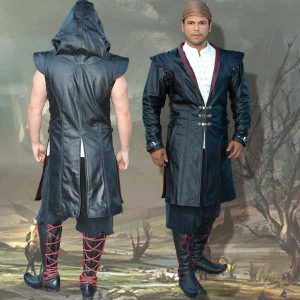 It can be special ordered with detachable sleeves and a hood. 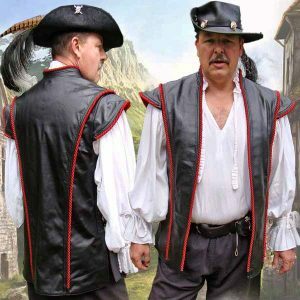 This Vest is our lowest cost offering for men’s clothing. For our patrons wanting to add some bang for the buck, this is a great option. It has the perfect length to be worn with a kilt. 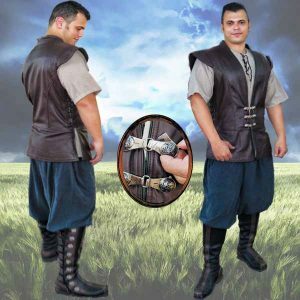 This will complete any high end garb or costuming at a ren fair or celtic festival and is popular with many of our MC enthusiasts. 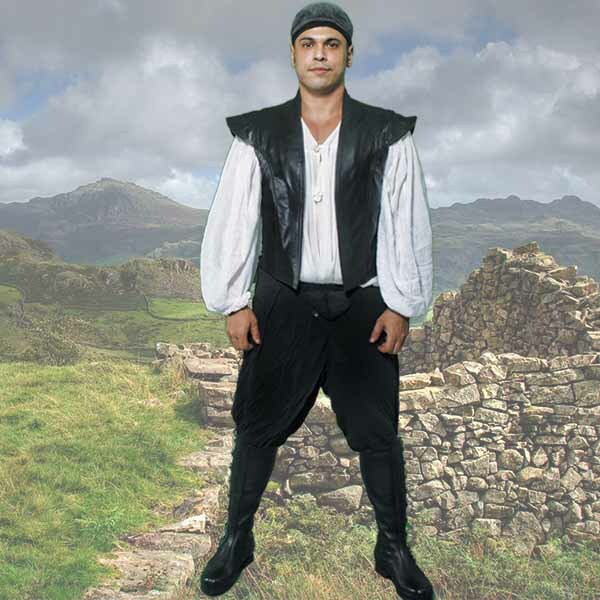 The Huntsman’s Vest is our entry level men’s vest. 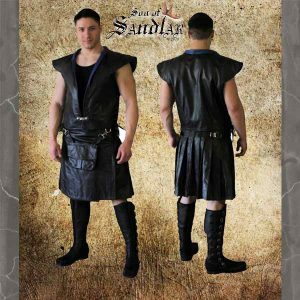 It is the best option for our patrons wanting to upscale their ren faire garb with a first leather piece. This remains one of our more affordable pieces for those who are more cost conscious, but still demand a higher quality. It will be the centerpiece and finishing touch for your renaissance faire garb.